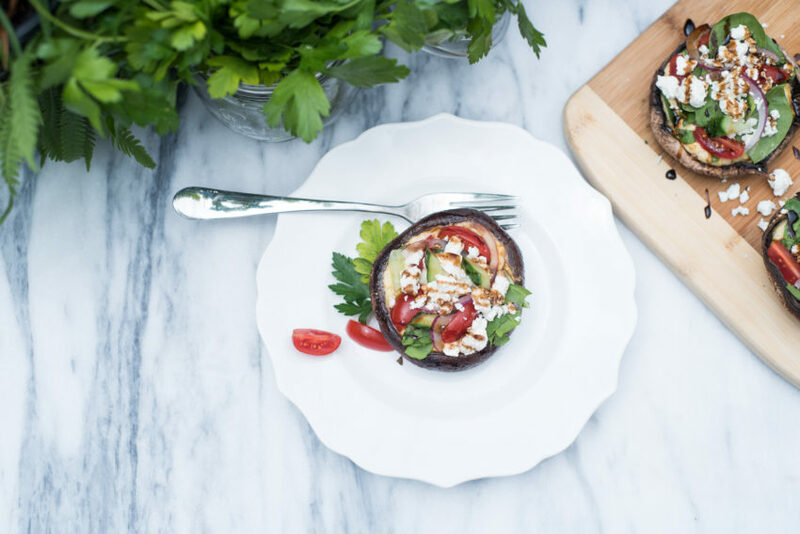 How many times have you had trouble throwing together a quick, healthy meal because it’s just you? Sometimes, if we are cooking for one, we tend to put ourselves on back burner (pun intended) and eat processed junk. No more! Your body is a temple, so treat it as such….as much as it’s up to you, at least. 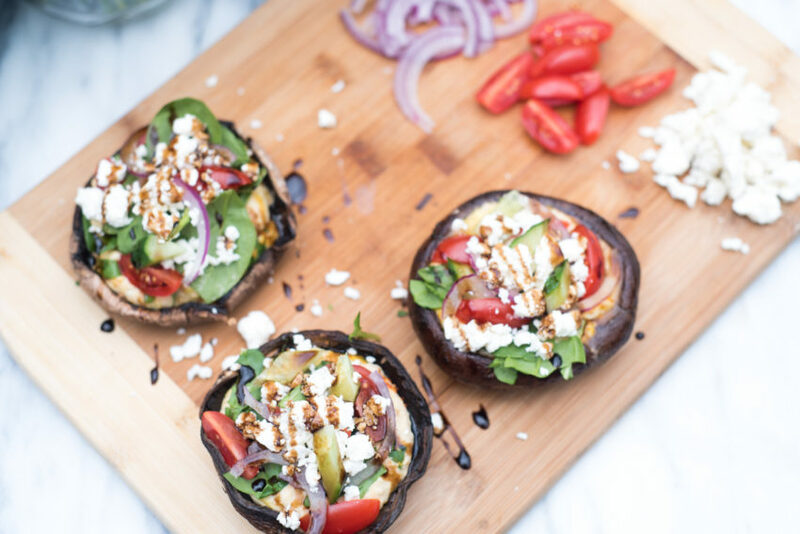 Here’s my idea for you….an easy roasted portobello “crust”, filled with creamy Best Hummus Ever, topped with some fresh Greek vegetables and drizzled with a yummy balsamic syrup (no sugar added). It’s filled with flavor and only takes 15 minutes to create. I’ve made this recently two places: the WTHR health & fitness expo, and one of my weight-loss cooking classes. 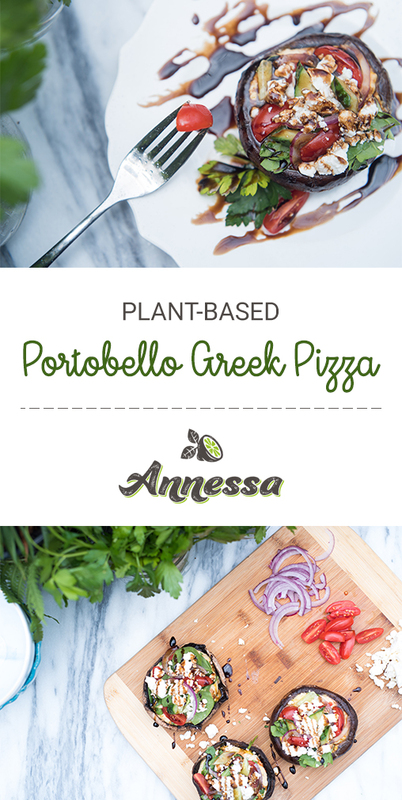 I figure if I receive rave reviews from the masses, then it’s a winner recipe! Want to learn? Here we go! I’d rather preserve this flavor instead of soaking it up with a paper towel. Do what makes you happy. If you pour off the juice, you can use it in broth, in sautéed onions (I make those a lot), or in any recipe you want to add flavor to. 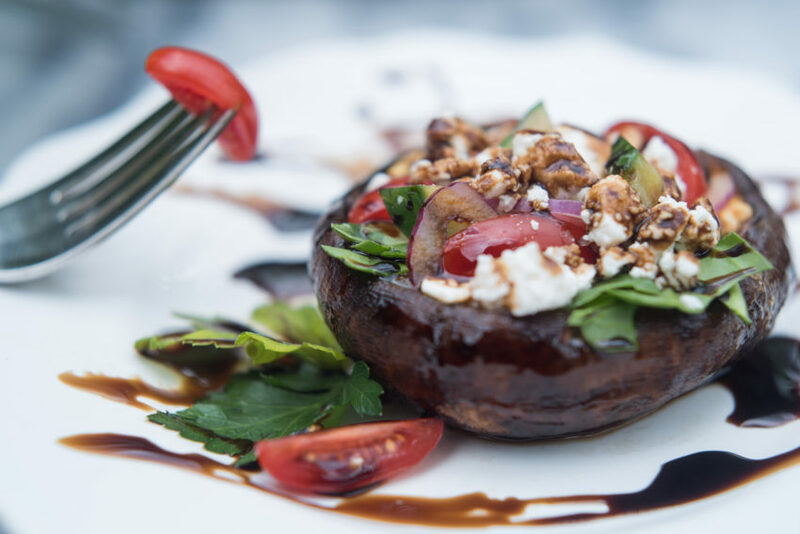 Add a drizzle of balsamic reduction! Mmmmmmm (again). This stuff is fantastic. 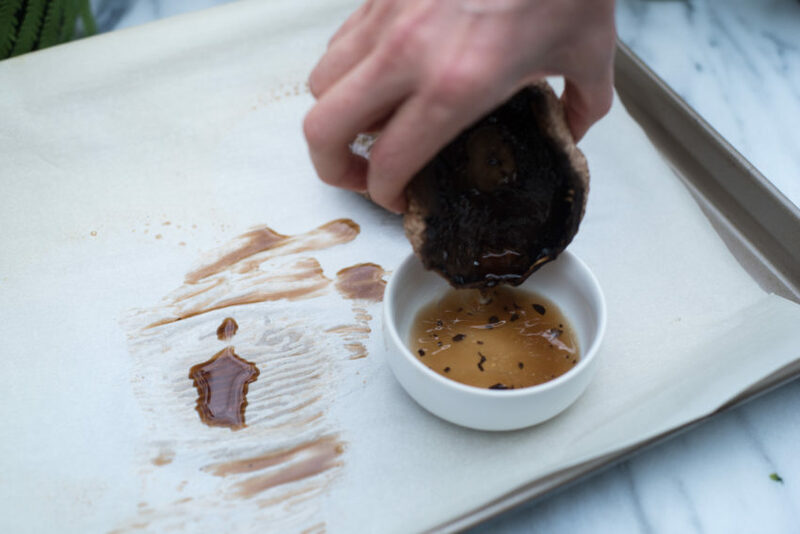 It’s simply balsamic vinegar (can I get a yum yum?) reduced down to where it’s a syrup consistency. If you are looking for a bottle at the store, make certain to read the ingredients list, that way you can bypass any brand that has added sugar. But remember, this is a recipe you can make for one, or many. Use it for Meatless Monday, or for a light summer dinner. 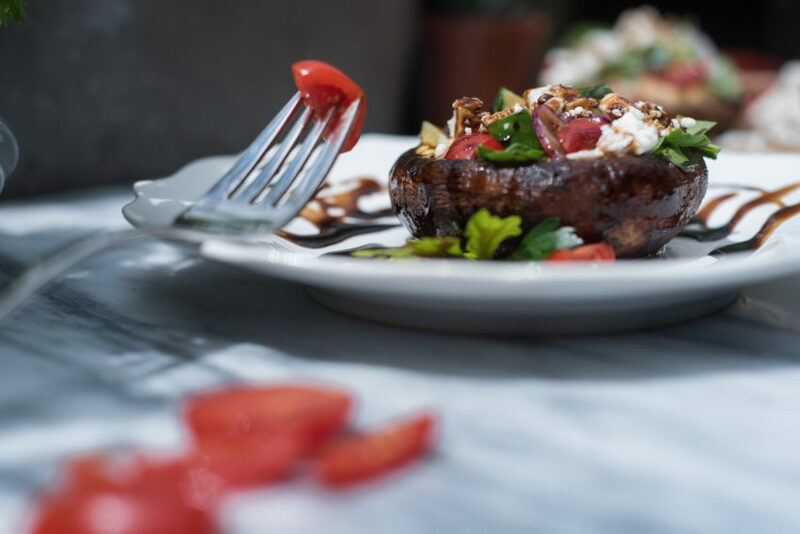 You can roast those portobellos in the oven, or put them for 5 minutes on a medium-high grill. So easy, and versatile! Enjoy! Would this be something you’d love? Don’t forget to join the healthy conversation on my Facebook page – people give a lot of great ideas there! Also, I’m on Pinterest, Instagram and Twitter. I would love to connect with you! 1. Preheat oven to 375º. 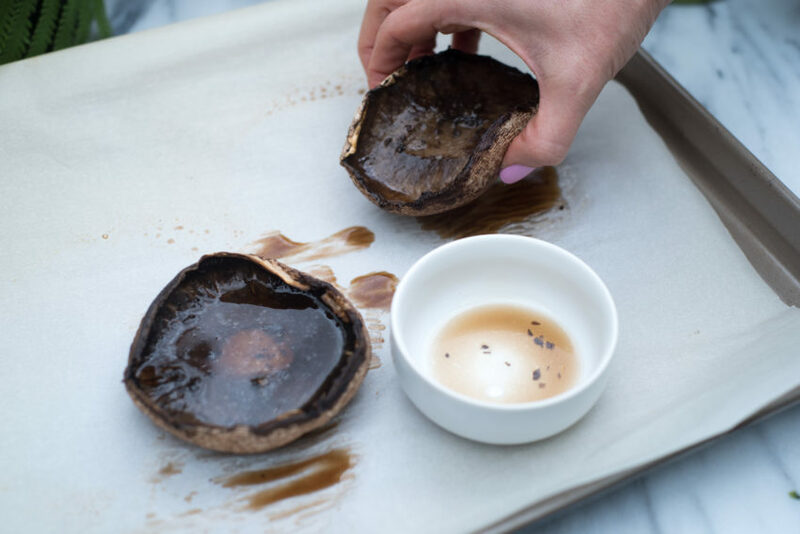 Spray mushroom with nonstick cooking spray, sprinkle with sea salt, and place on rimmed baking sheet. 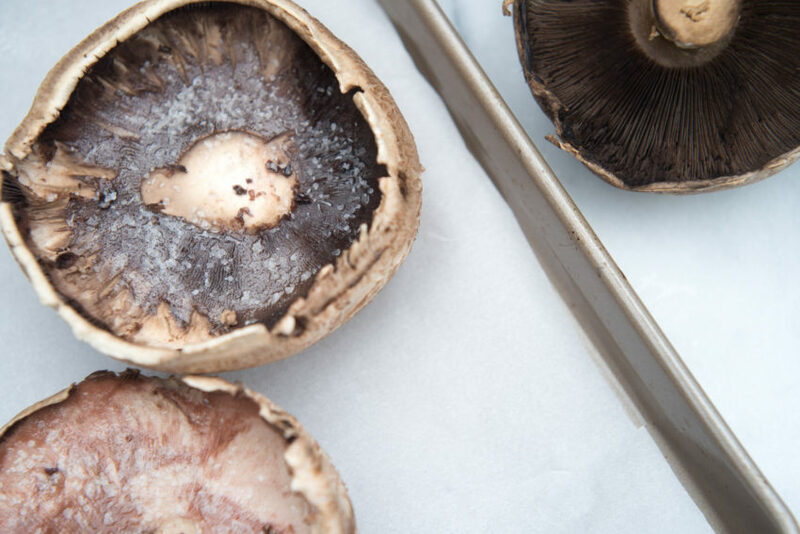 Place in oven and let cook for 5-10 minutes (depending on the size of mushroom). 2. 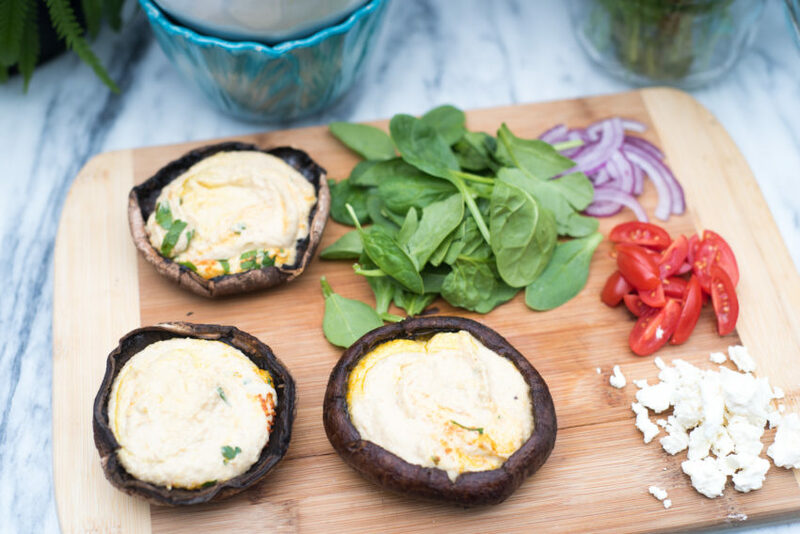 Spread each with hummus, then top with chopped spinach, tomatoes, red onion, and feta. 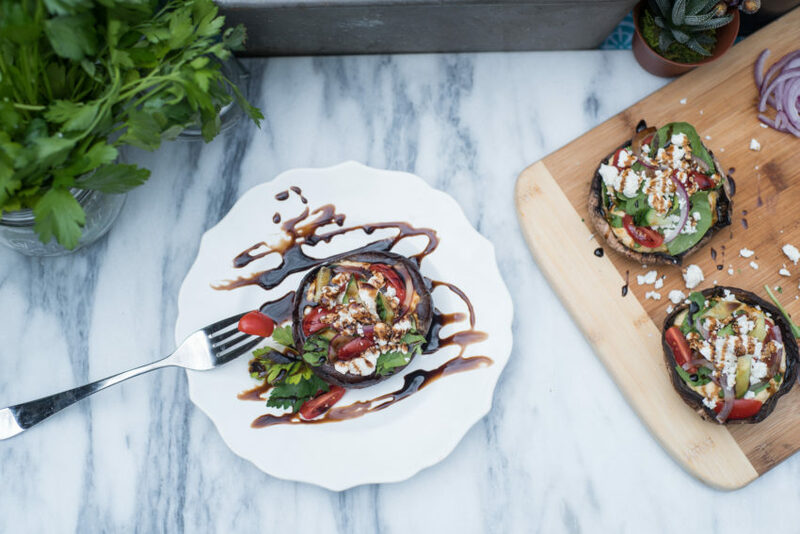 Drizzle with balsamic and serve! 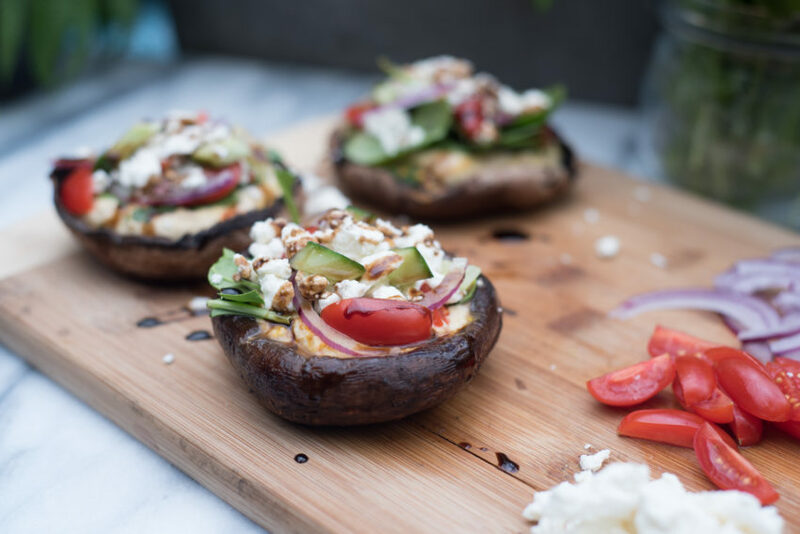 *don’t forget, the portobellos can easily be put on the grill instead of the oven. They will most likely be done in less time, so watch them! *add whatever toppings fit you or your family!